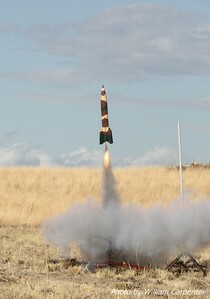 My photos from the Washington Aerospace Club's September launch in 2009. 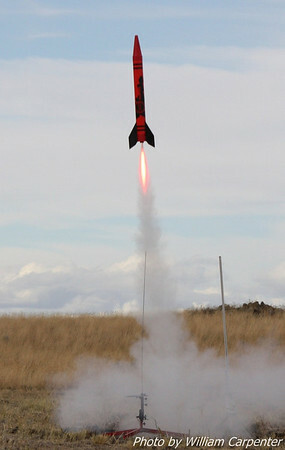 An upscale Goblin lifts off from the high-power pads. 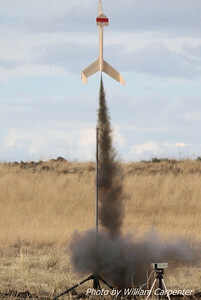 A rocket glider lifts off from the mid-power pads. 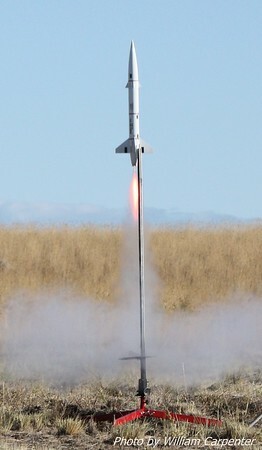 An AeroTech Mustang lifts off from the mid-power pads. 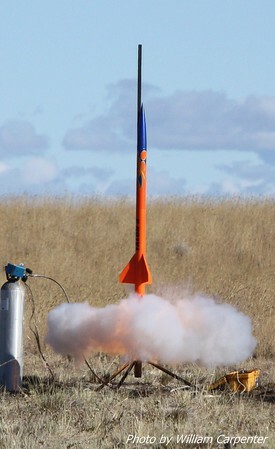 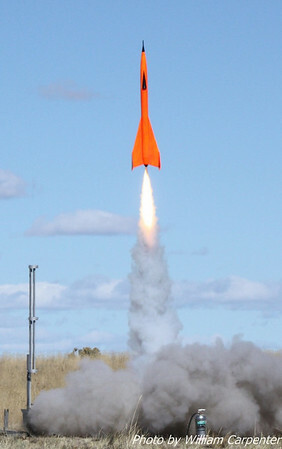 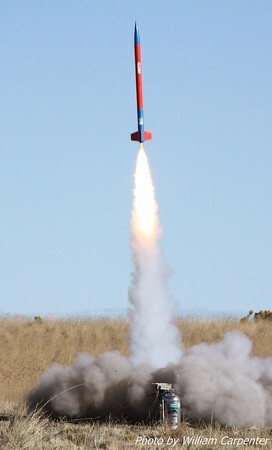 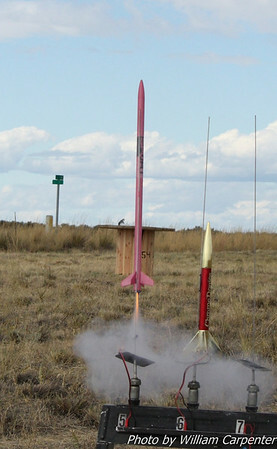 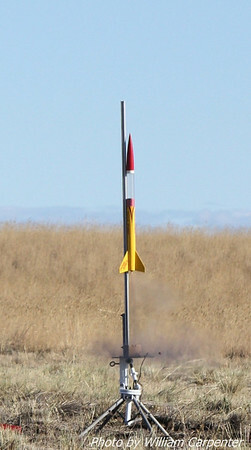 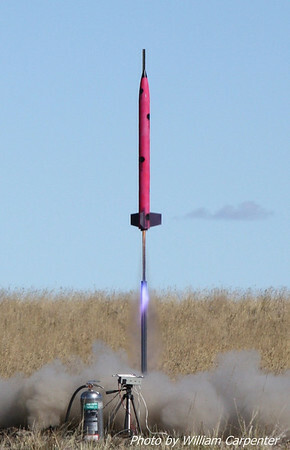 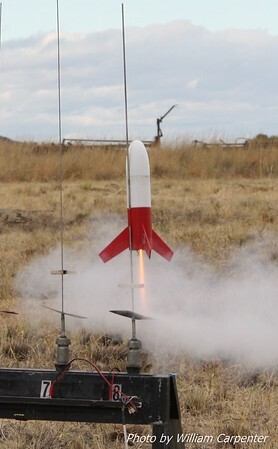 A crayon-shaped rocket made from a children's coin bank lifts off from the high-power pads. 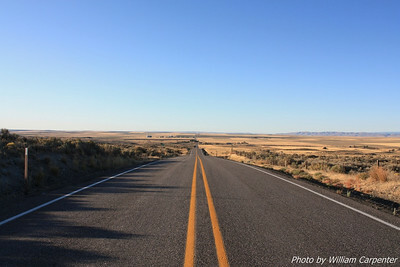 The view looking west from a hill on Route 172 between Waterville and mansfield. 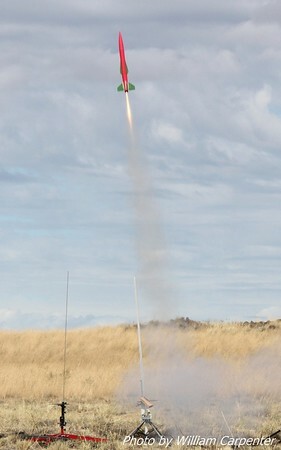 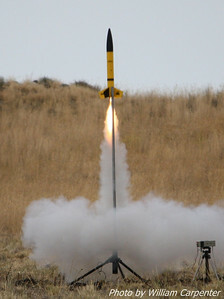 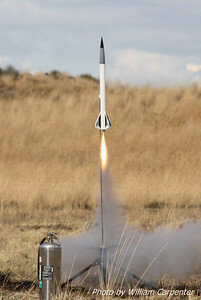 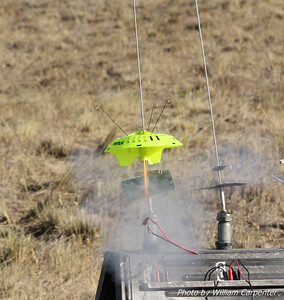 An Estes Snitch lifts off from the low-power pads. 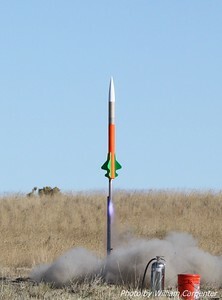 "Barbie One" lifts off with astronaut Barbie peering out the window. 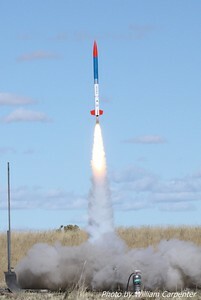 My DynaStar Rising Star lifting off on and E28 for its maiden launch. 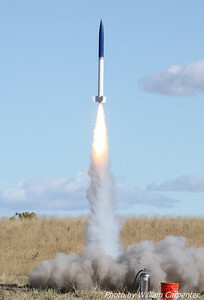 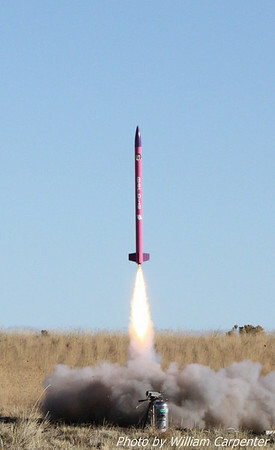 A rocket named "LuLu" lifts off. 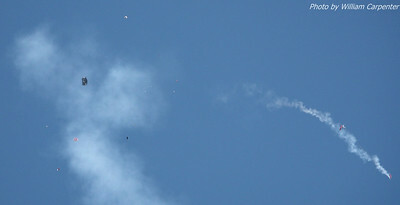 Unfortunately, Lu Lu shredded near the end of its burn. 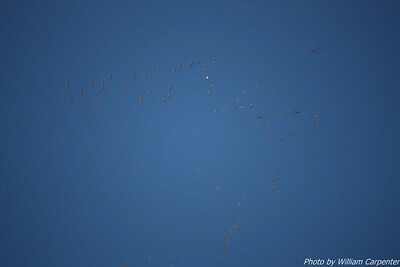 A flock of cranes flew over the launch site during the day's proceedings. 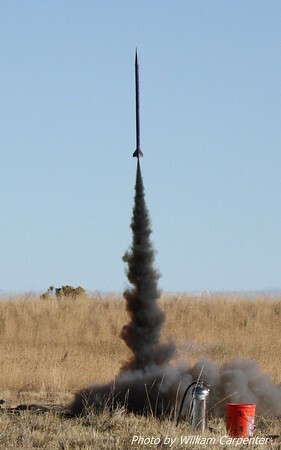 My DynaStar Rising Star flies agian, this time on an F24. 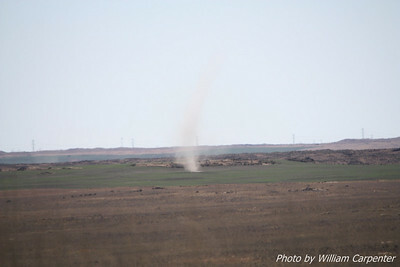 A dust devil visible in the distance. 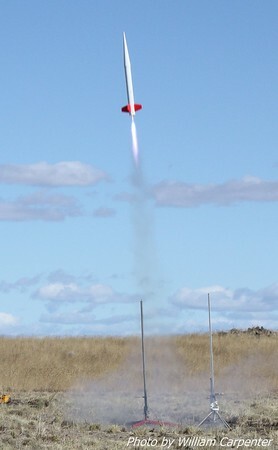 A Jayhawk lifts off from the high-power pads. 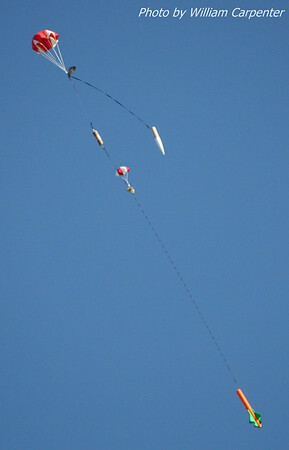 The jayhawk recovered in two sections, on a total of four 'chutes.